DNA and RNA sequencing have become increasingly important in medical and translational research. The data generated from these techniques has led to a huge demand for secure means to store, transfer and analyse the human biomedical data that has been consented for research. ELIXIR is building an infrastructure to support the development of (i) new rare disease therapies, (ii) long-term storage and reuse of human biomedical data using the EGA and (iii) GA4GH Beacons to discover genomics datasets. ELIXIR-UK is coordinated from the Earlham Institute in Norwich and led by its Head of Node (Prof. Carole Goble, University of Manchester). The sole responsibility for the content of this webpage lies with ELIXIR-UK. 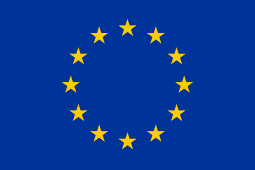 It does not necessarily reflect the opinion of the European Union and the European Commission is not responsible for any use that may be made of the information contained therein.